Harassed By Auto Drivers: How To Lodge A Complaint? Many auto drivers in metro cities, harass citizens by overcharging them. Even though many petitions have been filed against these auto drivers and sometimes even action taken, they continue to ignore all this and overcharge customers. The next time an auto driver refuses to put the meter on, don't bargain or fight with him. Just register a complaint with the relevant authorities. Many metro cities have introduced easy ways to file complaints against auto drivers who break rules. 1. How to lodge a complaint against auto rickshaw drivers in Bengaluru? This is how you may lodge a complaint against auto rickshaw drivers in Bengaluru. SMS 52225 for Airtel customers and 9663952225 for non-Airtel customers. 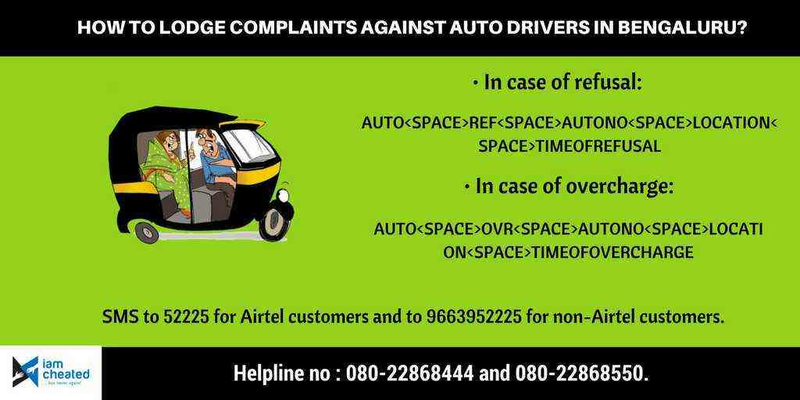 The Helpline no for auto rickshaw complaints: 080-22868444 and 080-22868550. 2. 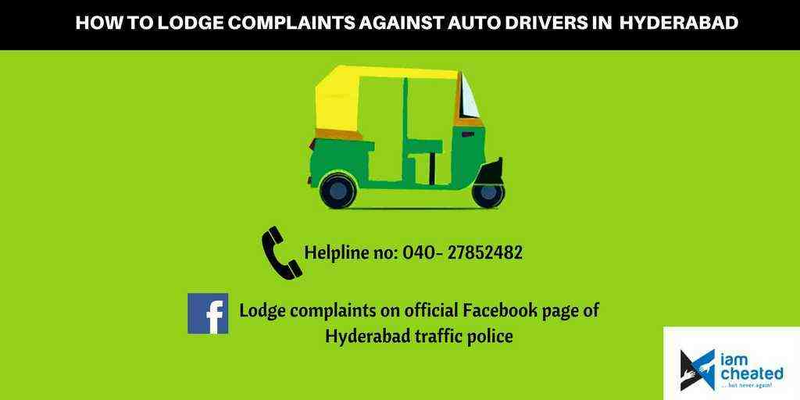 How to lodge a complaint against auto rickshaw drivers in Hyderabad? 3. 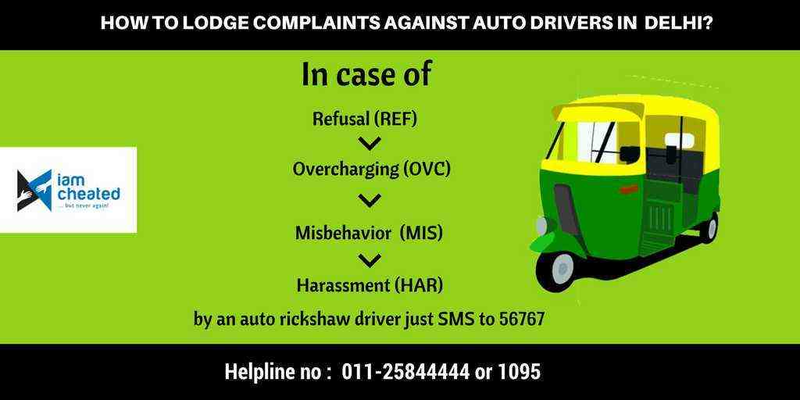 How to lodge a complaint against auto rickshaw drivers in Delhi? SMS: In case of Refusal (REF), overcharging (OVC), misbehavior (MIS) and harassment (HAR) by rickshaw drivers, just send SMS to 56767. 4. How to lodge a complaint against auto rickshaw drivers in Chennai? 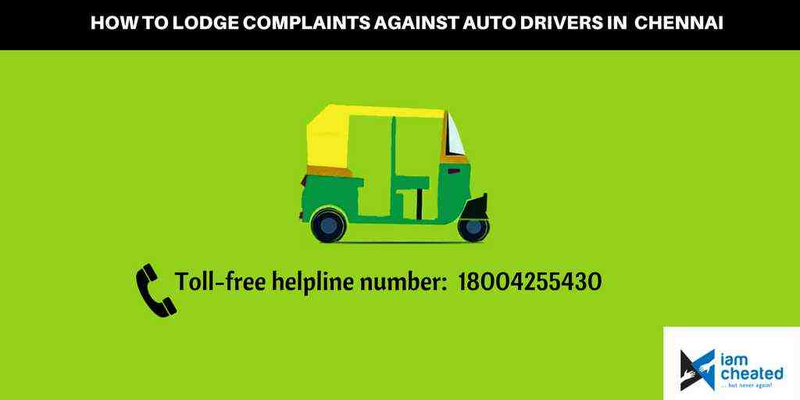 Toll-free helpline number: Dial 18004255430 to lodge your complaint against auto drivers who break rules.